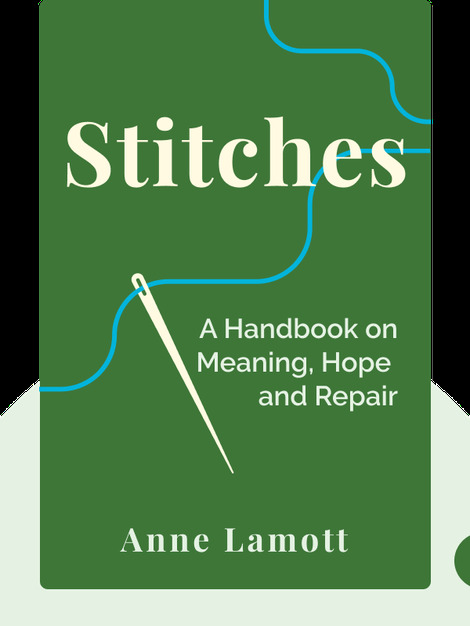 Stitches (2014) is about embracing the negative aspects of life that you’re powerless to change, and building a community to help you work through them. These blinks explain why so many people run from suffering and pain, and why acknowledging such difficult experiences is the only way to overcome them. 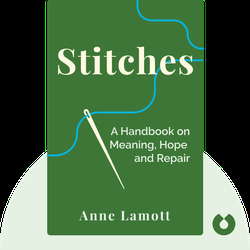 Anne Lamott is the author of the New York Times bestseller Help, Thanks, Wow. Her writing offers lessons and ideas, learned through personal experiences, that focus on being happier, more loving and kinder to those around us.